A new figure flattering margarita packs delicious taste in just 140 calories per cocktail. The Skinny Margarita ($13) is made with Don Julio Reposado Blue Agave Tequila, Triple Sec, Aloe Juice, Agave Nectar and fresh squeezed lime juice, and features flavors including traditional, mango, pomegranate and guava. Executive Chef Noe Alcala recommends pairing the skinny cocktails with healthy menu options such as Hussong’s Albondiga Soup, served with many vegetables, or the Arugula Chicken Salad. For those really wishing to pack a punch there is the new 48 ounce Romance Margarita ($24.95) – a concoction designed for two. Hornitos Silver, Anejo and Reposado Tequilas blend with Strawberry nectar, Creme de Banana, fresh sweet and sour and lemonade, with a float of Gran Marnier. 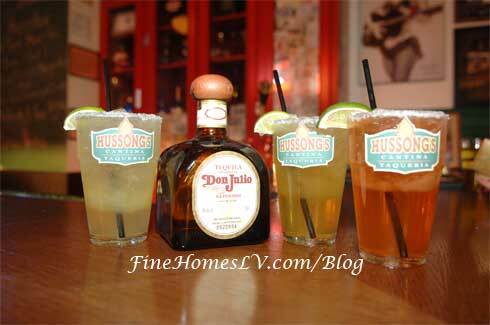 Hussong’s Cantina and Taqueria is located at The Shoppes at Mandalay Place at Mandalay Bay Las Vegas resort and is the first U.S. outpost of the legendary bar from Ensenada, Mexico. Whether it’s the authentic Baja cuisine, the chance to experience the strong Original Margarita, or sing-along to the rock n’ roll Mariachi band, Hussong’s Cantina appeals to many. Hussong’s Cantina is available by calling 702.553.0123 and open from 11 a.m. until 11 p.m. seven days a week and easily accessible from the convenient Mandalay Place valet.